The Church recently celebrated the mysteries of Christ lived out in the person of Saint Monica. I found myself drawn to rereading the beautiful and eloquent Book IX of Saint Augustine’s Confessions that highlights the holiness of Saint Monica as a wife and mother. Saint Augustine is a beloved figure of holiness and theological wisdom for Catholics, and a respected figure amongst many Protestants. The role Saint Monica played in bringing about her son’s conversion is well known: Saint Augustine lived a life of sin and converted decades later to Jesus Christ and the fullness of His truth and grace within His Catholic Church. It is less well known the role she played in bringing about her husband’s conversion. Throughout Saint Augustine’s Confessions, but I will be focusing on Book IX, we see a model for spouses or parents to evangelize those within their home. 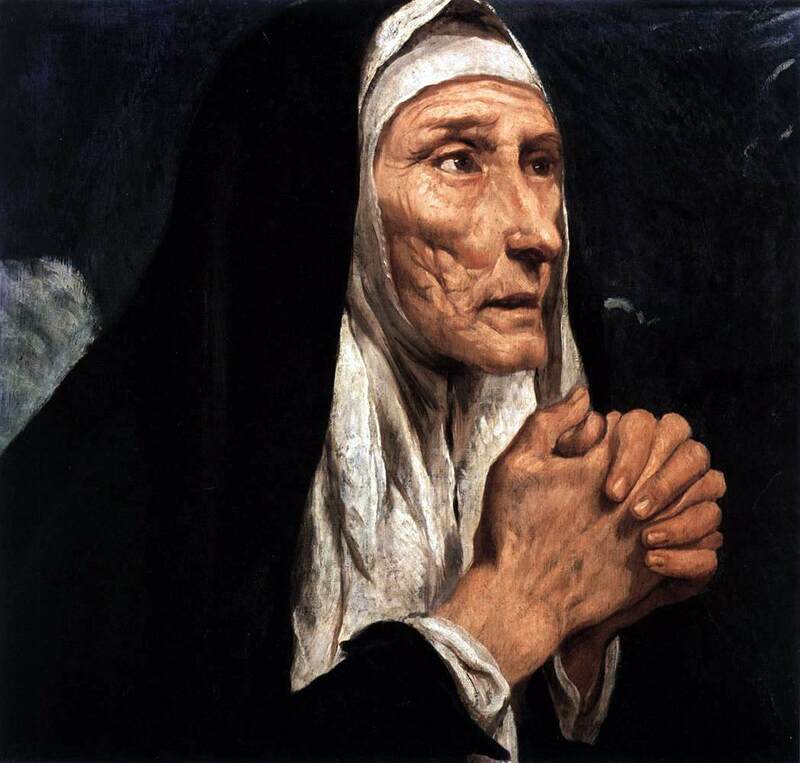 Saint Monica was blessed to be “brought up in modesty and temperance”. In addition to the life of faith she received from her parents, both of whom were Christian, she developed a strong internal life “in the school of her heart” where God was her “secret teacher”. Her strong faith, virtue, and impact on all those around her, was understood to be a gift from God. She “never ceased” to attempt to convert her husband to the faith. It was her mission within the context of love. God spoke to her husband, Patritius, through Saint Monica’s life of virtue (IX.9). Despite Patritius’ rejection of her faith and values, she lovingly trusted God to show him mercy for his sins. This was a loving response to her husband, rather than taking the position of constantly reminding him of his failures as a husband, father, and man. Her ultimate hope was that he had a conversion to faith and that faith would bring about a remedy to the sins that caused problems within their marriage and home. Saint Monica understood to focus on praying and speaking to the underlying problem: a lack of faith. She eventually saw her husband convert. It happened “in the very last days of his life”. She likely wanted it to happen sooner but she trusted in the Lord’s timing as it was ultimately His work that she was cooperating with (IX.9). If she was the victim of gossip or cruelty, she would win them over with “patience and gentleness”. People could sense the presence of God in Saint Monica’s heart and “her holy conversation gave rich proof of it”. Because of this, people praised and loved God because of their experiences with Saint Monica. The same could be said of those within her home (IX.9). Saint Monica understood she was called to a life of holiness that compelled her to love. Her love for God and her family compelled her also to share the Good News with her husband and children until her last moments on this earth. This inspiring woman understood that to withhold the Good News of the treasury of graces that comes from Jesus Christ and His Catholic Church would not be love. Saint Monica’s example can be applied to those within an all Catholic household or a household of mixed religious beliefs. Announcing the Gospel, evangelizing, cannot happen by simply living the Catholic life. It may be shocking to know that Saint Francis of Assisi never said “Preach the Gospel at all times. Use words if necessary.” Not only did Saint Francis not say it, he never lived by it; it is a quote that has been falsely attributed to Saint Francis for several generations. The fruitfulness of Saint Monica’s evangelism within the home, within her Domestic Church, is due to her personal holiness, her prayers, her presence within her family’s life, her example, and her words that provided insight and clarity into her actions. She did not lose patience but entrusted all of her home to the Lord while continuing to serve them in each situation of life. Saint Monica, Evangelist of the Home, Pray for Us. Brandon Harvey is a Teacher, Speaker and Theological Consultant who resides in Omaha, Nebraska. He is married and is blessed with four children. He is the host of the Home Catechesis Podcast and the Home Catechesis Review (Vlog) on youtube.